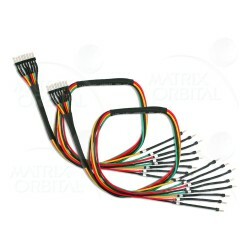 Our high quality alphanumeric parallel displays feature industry compatible HD44780 4/8 bit controller. Combine it with our X-board S-series to get your project off the ground faster. Add a mounting kit for easy mounting or a PC-Bay insert to make it PC-ready.